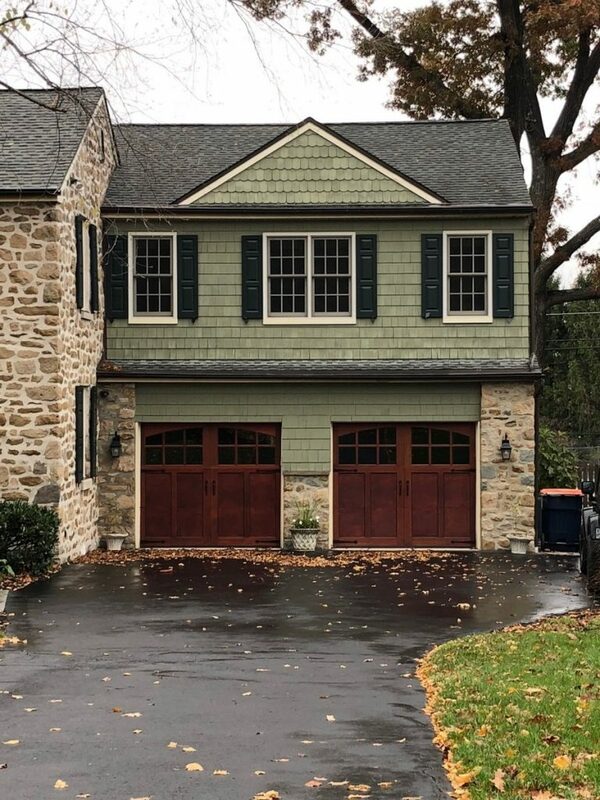 13 NovThis Ambler Home’s Beautiful Garage Doors Receive Extra Love From LaffCo. One look at this house and you can tell how much curb appeal it has! From the stone siding to the standout shutters, the exterior is full of gorgeous details. Our favorite part? The beautiful garage doors carefully crafted out of genuine mahogany wood. It’s details like these that sets a house apart from the rest, giving homeowners the perfect opportunity to impress any visitors or potential future buyers. 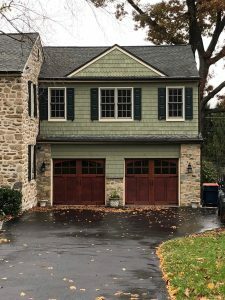 To keep their garage doors in the best shape possible, these residents gave LaffCo. Painting a call, knowing we had all the right tools and expertise to get the job done. Our clients wanted to keep their beautiful garage doors looking fresh while making sure the mahogany remains protected. First, our experts came in and stained the doors in Red Mahogany from Minwax, to give it both the coating and visual finish they were looking for. Finally, we added a layer of marine grade polyurethane to ensure the doors remain thoroughly resistant and protected. The clients loved how professional and quick our service was! They now have garage doors that are sure to look pristine for years to come. Looking to boost your home’s curb appeal? Click here to get your free painting quote from LaffCo. Painting today.